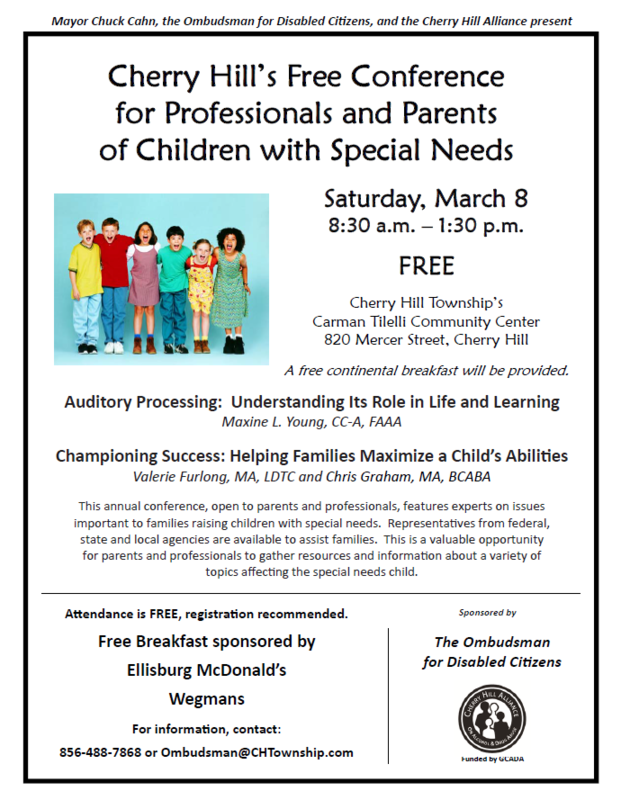 Jammin’ Jenn is honored to inform you of a terrific event on March 8th in Cherry Hill, New Jersey. We currently conduct music therapy in the surrounding area and have recently been in contact with Jill Kail, the Ombudsman for Disabled Citizens of Cherry Hill, the sponsor of this event. We are sure this gathering will be valuable to access resources and information on issues important to families raising children with special needs. If you are near the area please attend!! This entry was posted in Music Therapy Research, Parents of Children with Special Needs. Bookmark the permalink. Starting in October, Group Music Therapy Program with Mission Cognition in Metuchen, NJ!